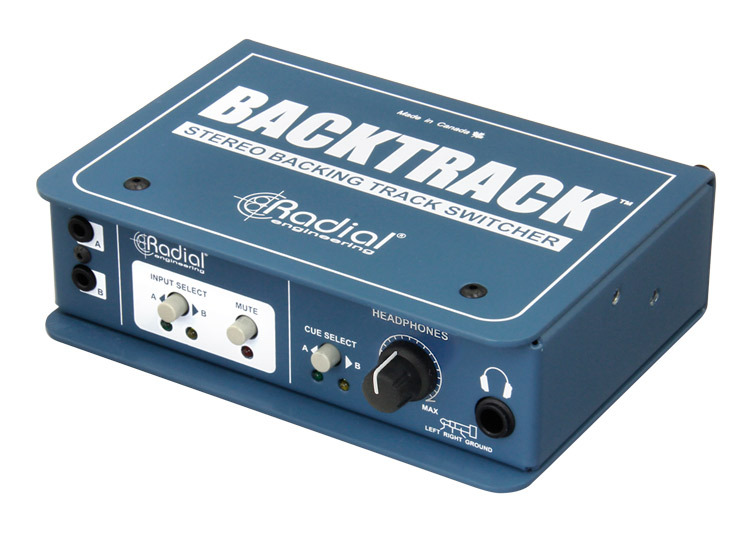 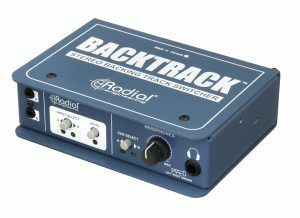 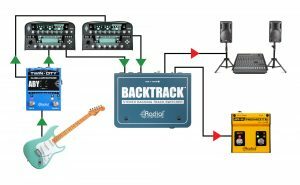 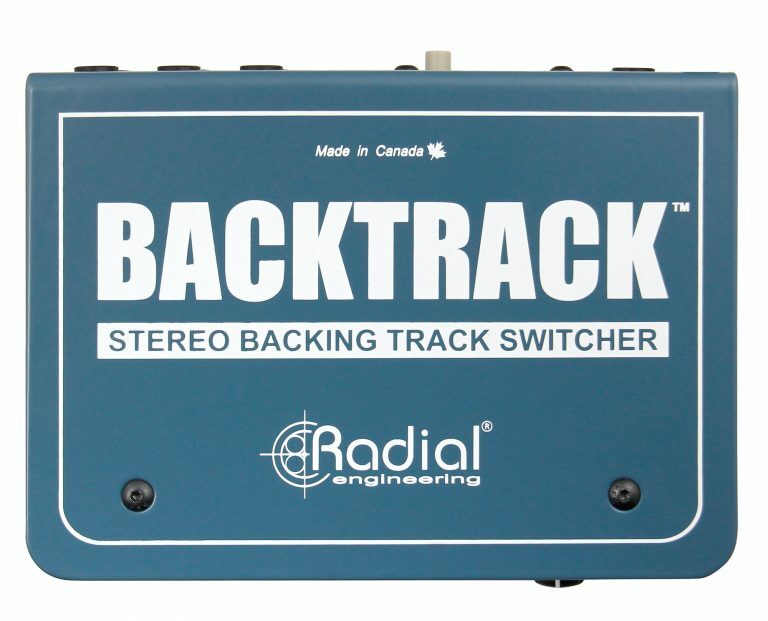 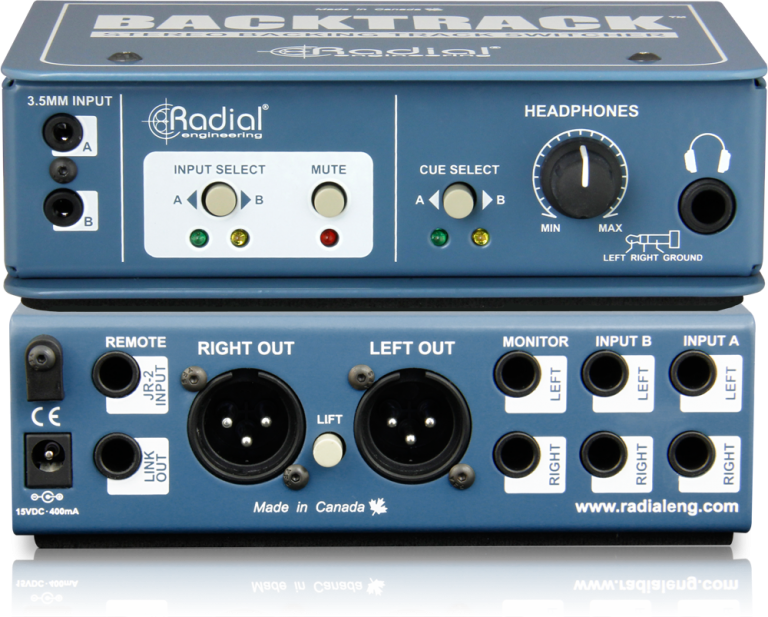 The Backtrack is a compact stereo audio switcher, perfect for bands running redundant backing tracks on stage or switching between any stereo audio sources. For any performance that incorporates backing tracks or other pre-recorded elements, reliability is crucial to ensuring a smooth performance. 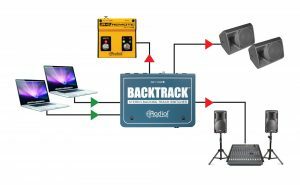 Unfortunately, smartphone batteries die, laptops freeze up, and Murphy's Law will always apply. 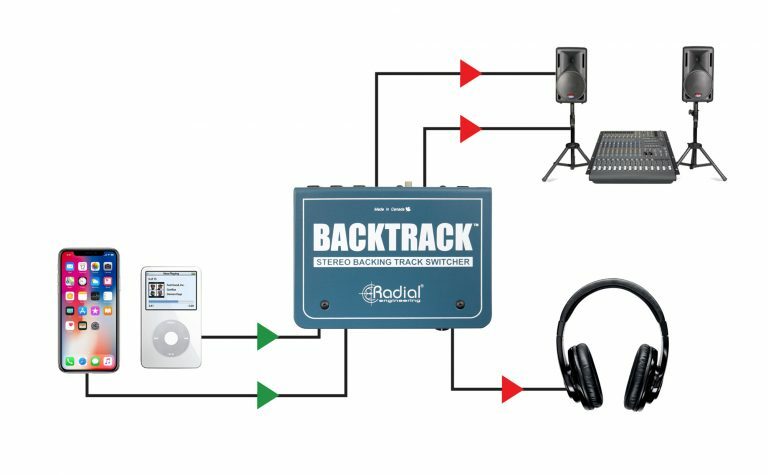 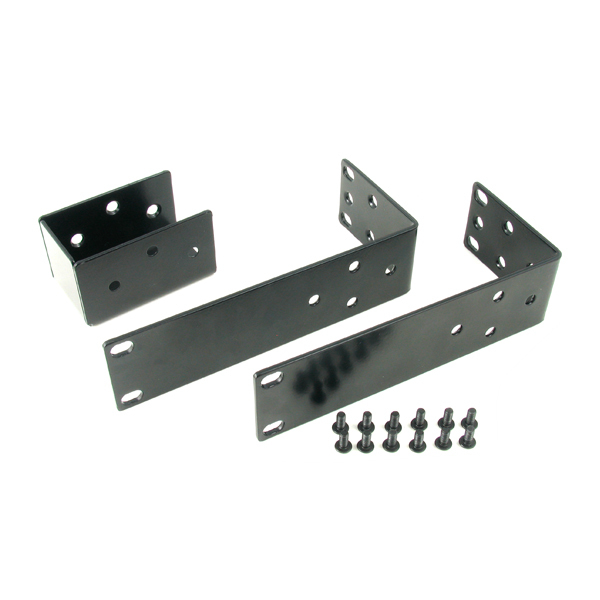 The Backtrack creates a redundant system to ensure that you can instantly switch over to a backup device should any problems arise with your primary playback source. 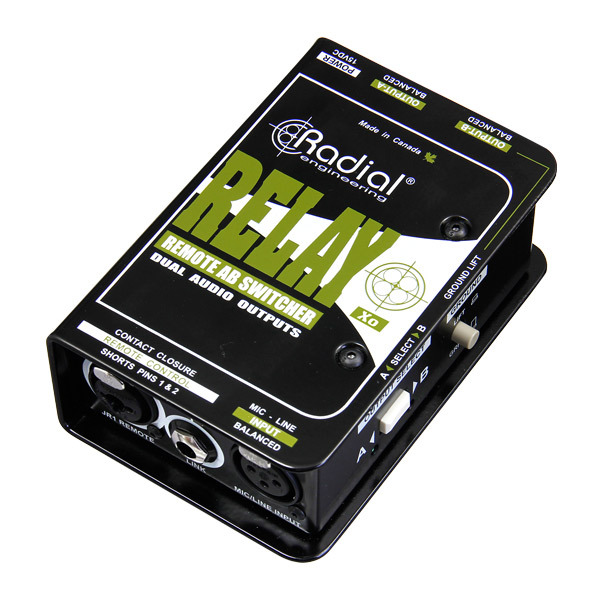 This can be accomplished easily with the push of a button on the Backtrack or via a remote JR-2 footswitch, giving you peace of mind and freeing you up to focus on your performance without worry. 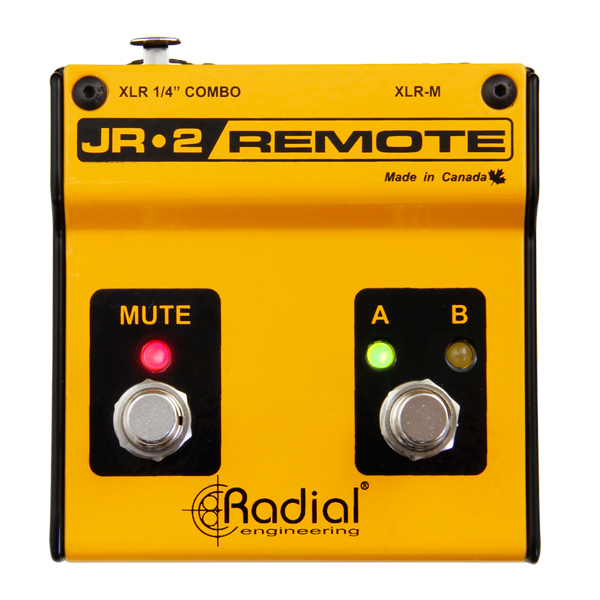 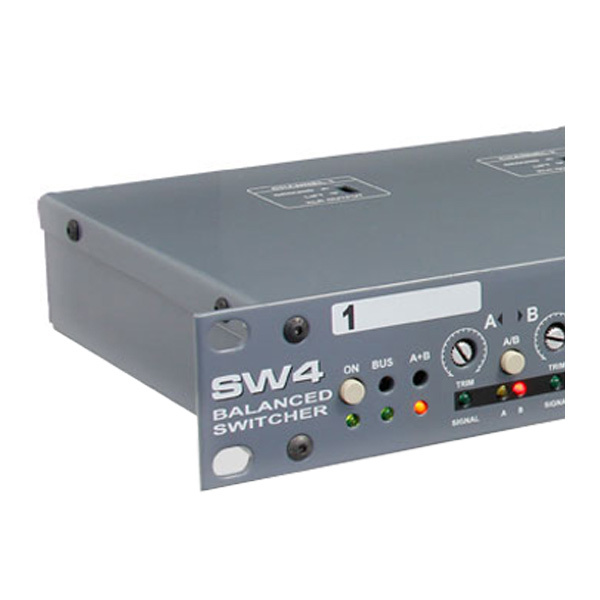 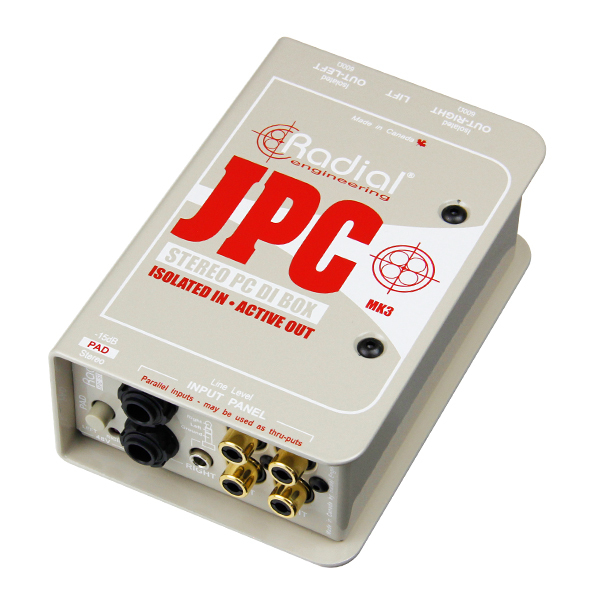 Use the JR-2 footswitch to mute or switch between playback sources. Monitor on stage with a powered speaker while simultaneously sending signal to the house PA system. 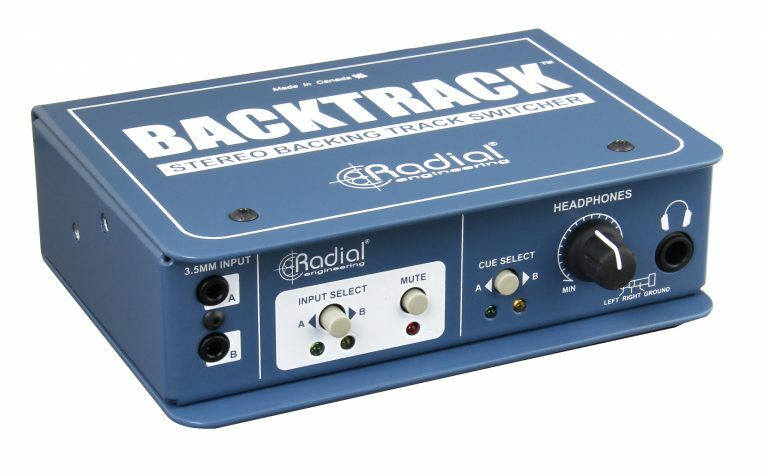 The headphone output can listen to either input without switching the feed to the PA, allowing you to cue the next track and monitor silently on headphones. 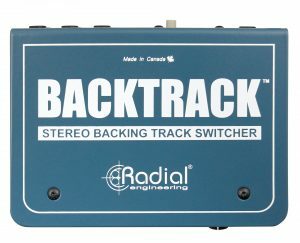 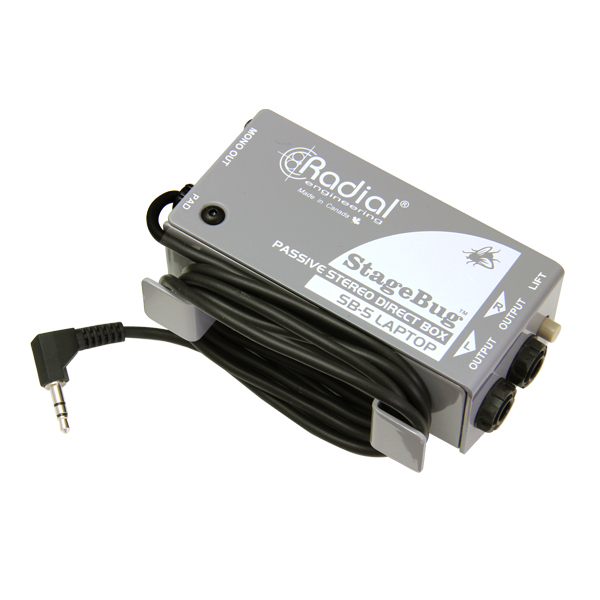 Take the balanced or unbalanced line-level outputs of two stereo amp modeling devices into the Backtrack; it will automatically balance the signal at the XLR outputs to the PA. Should one amp simulator go down, use the JR-2 to easily switch to the backup unit.